as it should be’ by helping people make the right financial choices. standing and to decide on whether they need to modify their financial habits. whether they are a customer of the bank or not. 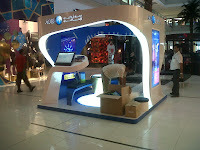 manage their finances,” said Tirad Mahmoud, CEO of ADIB. contain usual items with which Muslims are expected to break their fast. Abu Dhabi Islamic Bank (ADIB) was established on 20th May 1997 as a Public Joint Stock Company following the Emiri Decree No. Sheikh Abdullah Bin Zayed Al Nahyan, on 18th April 1999. The Bank carries out all contracts, operations and transactions in accordance with Islamic Shari'a principles. and Shari’a inspired. It brings to its customers banking as it should be. reaffirming its leadership position in the growing Islamic finance sector. ADIB’s GHINA saving program won the “Best Savings Account Award” at the Banker Middle East Product Awards 2010.
by The International Customer Service Institute UK. Annual Bank Benchmarking Index for service excellence by Ethos Consultancy. 10. ADIB won the “Best Islamic Bank” at the 2010 Islamic Banking and Finance Awards organized by CPI Financial.